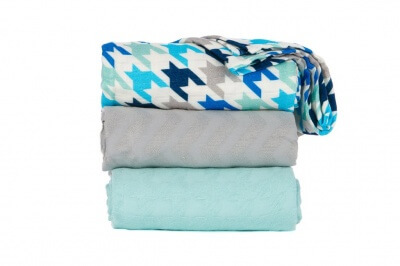 These gorgeous blanket sets from Tula are just divine and perfect for your little ones to snuggle up in. Very generous in size at 120cm x 120cm and made from viscose from bamboo. They are soooooooooo soft, you just want to snuggle in them. Perfect baby gift they have a variety of uses.